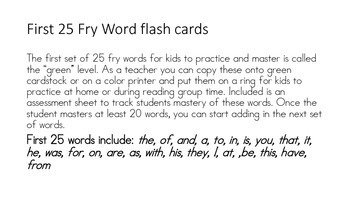 This packet has the first 100 fry words on flash cards for students to use to master these words. 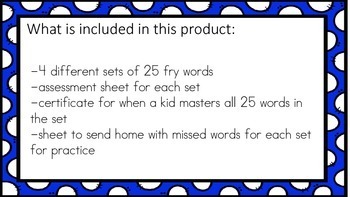 This product has both a colored version and a black and white version. 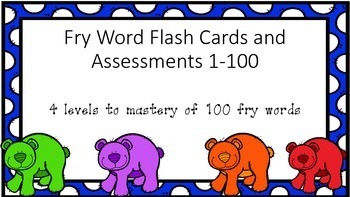 The words are broken into four sets of 25 and each level is a different color. 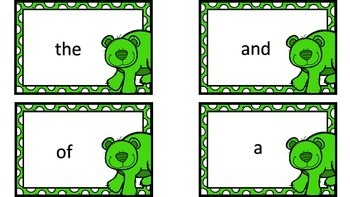 The first 25 are green. The next set is purple. The next set is orange. The last set is red.